Sandra Russell, 76, formerly of Lincoln, passed away at 9:55 p.m. on Sunday, January 27, 2019, at her home surrounded by her loving family. Sandra was born on January 7, 1943, in Chicago, IL; daughter of Bob and Maxine (Johnson) Zbinden. She married John Russell on December 26, 1981, in Lincoln, IL. He survives her. Also, surviving Sandra are her children: Dianne Whitman of Franklin, N.C. and Doug Meier of New Castle, IN; her sister: Myrna Bair of Pennsylvania; her brother: Ray Zbinden of Illinois; three grandchildren: Emma, Grace, and Corinne Meier. She was preceded in death by her parents. Sandra attended Faith Lutheran Church in Lincoln. She was a member of the Elks Emblem Club and assisted with Elks Crippled Children’s Trust, and was a member of the Red Hats. 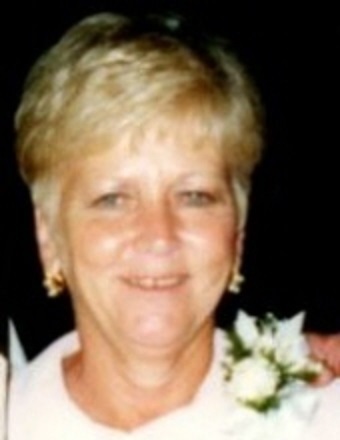 Services for Sandra will be 12:00 Noon Friday at Fricke-Calvert-Schrader Funeral Home in Lincoln, IL with Rev. Mark Peters officiating. Visitation will be 2 hours prior to the service (10:00-12:00). Burial at New Union Cemetery will follow the service. Memorials may be made in Sandra’s name to St. Jude Children’s Research Hospital or Humane Society of Logan County.